As a coeliac who avoids gluten and also because I’ve had a stroke and am on Warfarin, I have to be very careful about my diet. For this reason I plan my pit-stops well when I travel by train. If I do change trains, I usually arrange this at a station like Birmingham New Street, Cambridge or Leeds, where I know there is a good M & S Simply Food or a selection of restaurants that I trust. 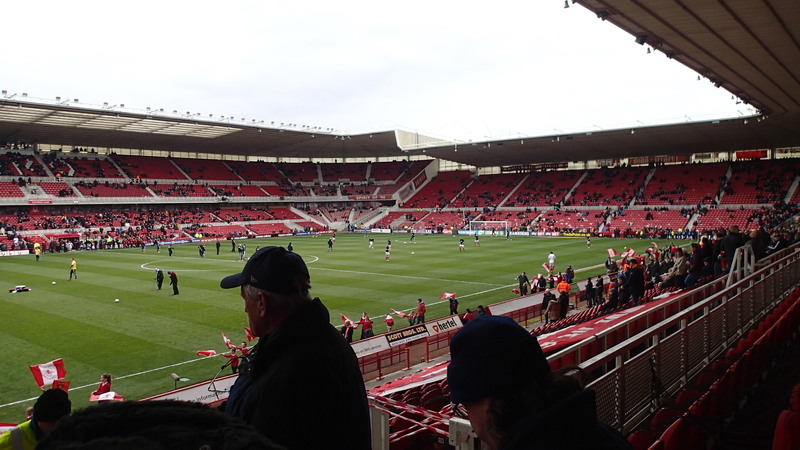 The last couple of days, I have been in Scotland and on the way back I saw Ipswich Town play at Middlesbrough. As Middlesbrough is a particularly difficult town for suitable food, I decided to come south as soon as possible after the lunchtime match. 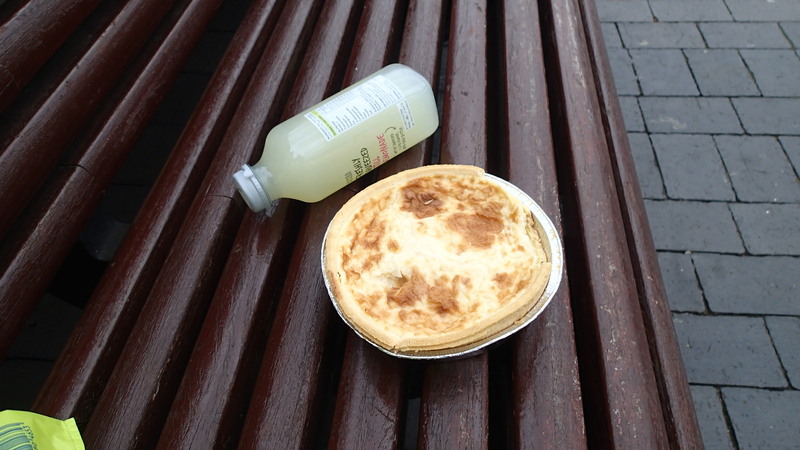 I did get lunch of sorts from the M & S in the town. It was bitterly cold and I ate it in the gardens in from of the Crown Court. But hey, two of my family’s bloodlines are Jewish and Huguenot and I reckon at times, they’d have found my simple lunch a veritable feast. A couple of weeks before, I’d tried to book a First Class ticket from Middlesbrough to Kings Cross, but found the prices rather stratospheric, so in the end I bought a reasonably priced First Class ticket from Middlesbrough to Peterborough changing at York, from where I could get a Great Northern train into London. I had assumed that the difficult availability of tickets was because of the England-Scotland match at Twickenham and at no time did the on-line booking process on East Coast inform me of the real reason for a ticket shortage. It was only, when I caught the Virgin Trains East Coast train at York, did the staff inform me of the reason. The East Coast Main Line was subject to engineering work and we’d be using a diversion. Unlike some other companies, East Coast’s gluten-free offering is non-existent, so I was getting hungrier by the hour, as we were shown the delights of the GNGE in the dark. As the train was going on to Kings Cross and there were plenty of empty seats, I asked the conductor if I could buy a ticket to complete the journey on the train, rather than decamping at Peterborough to purchase a ticket for another train. Astronomic prices were mentioned, which bore no relation to the twenty pounds or so, my phone said I would need to spend on-line for a Standard Class ticket. So I got off and bought a ticket in the Booking Office for around ten pounds for Great Northern. Incidentally, the Off-Park Single with a Railcard for East Coast is £14.75. So where did a price of three times that come from? I finally arrived in London six hours after I left Middlesbrough. To cap it all, the only gluten-free food left in M & S at Kings Cross was one packet of sandwiches. I could say the sandwiches were stale to add colour to this tale! But they were excellent! If the works on the line had been flagged up when I tried to book the ticket, I would have only used East Coast as a last resort. After all, I could have gone via Sheffield or Manchester, where I can at least get something to eat. The Booking Office clerk at Peterborough had told me that they have to tell personal callers that there are problems! So why not on the web? The conductor on the train, said it was all my fault, as I should have gone to Kings Cross, to read all the information about engineering works. Doesn’t that remove one of the advantages of booking on-line? If you say you want to collect a ticket from a station that is not the starting point of your journey, the train purchase web sites ask you if this is what you want to do. Surely, a warning if there are works or likely delays on your route could be similarly indicated. The real losers in this tale are Virgin Trains East Coast, as they had an empty seat between Peterborough and Kings Cross, for which I would probably have paid a reasonable amount. Next time I go to York or Doncaster where there is an alternative, I will also probably use it. I travelled very apprehensively to this early match and my fears were realised by the heavy defeat. The crowd wasn’t big, as this picture shows. I do think if they are going to have an early kick-off for the benefit of Sky, then clubs should at least make sure the crowd is bigger. The match turned in an unusual way. After four minutes Ayala scored for Middlesbrough and in the process both Ayala and the Ipswich goalkeeper; Dean Gerken were injured. The replacement of Gerken made no difference to Ipswich, but after twenty-four minutes Ayala was replaced by Jonathan Woodgate. In his time, Woodgate has been talked about as one of the best centre-backs in England, but he’s hardly fulfilled his promise, due to a long list of injuries. After he came on, Ipswich got hardly a sniff at goal. I do hope if we are going to play in Middlesbrough in the future, that the match is scheduled for August or September. I don’t think there can be a colder place in England! Simple stations or halts, were once very common on UK railways. These pictures show James Cook station in Middlesbrough, which is a new small station, that opened in May 2014. As the trains stopping at the station have conductors to sell tickets, there is no ticket machine, but there is a smart shelter, a help point, a destination board, a step-free bridge and ramps to the single platform. James Cook station is the first construction in the possible creation of a Tees Valley Metro, which may see other new stations created or old ones reopened. Surely, some of the ideas used in the design of the single platform James Cook station could be used at several places on the Tees Valley Metro and the wider UK rail network. Incidentally, is there another station named solely after a person?